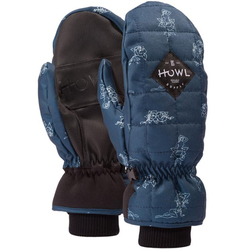 No one likes frozen fingers when chasing powder or riding hard lines all day, which is why you need to think about those pretty nubs and protect them in a stylized way with HOWL’s lines of gloves and mittens. A snowboarding brand that was created by snowboarders for snowboarders, HOWL is dead set on listening to the needs of riders and offering up protection and durability in products that last and look good at the same time. 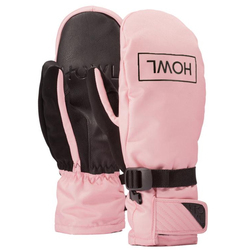 When functionality is everything, but keeping your mitts warm are a first priority, look to HOWL’s line of gloves and mittens. 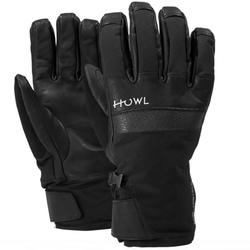 Each HOWL glove and mitten has a warmth rating from 1 to 5, so you know what conditions its suited best for, whether it be balmy spring conditions or the extreme cold of winter days. When conditions are variable, the HOWL Benton Glove offers up 10k worth of waterproofing with 5k worth of breathability, meaning your fingers will be warm and toasty but won’t sweat. Made of ultra durable goatskin leather with a micro sued over thumb, the Benton resists heavy wear and tear and will last for seasons to come. A Nikwax waterproof withstands the wet moisture from snow accumulation while a polar fleece liner insulates and traps in warmth. 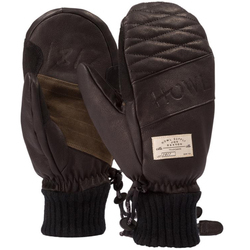 Looking just as stylish as it is warm, the Benton glove by HOWL is a staple design and element from the company’s line. 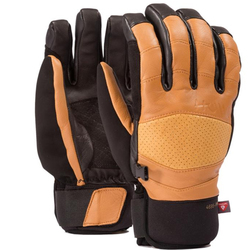 Same goes with the Joe Sexton pro model, the Sexton Mitt offers up the same line of defense against the wet and cold but in a mitt design, with 10k Hipora waterproofing capabilities and 5k breathability. 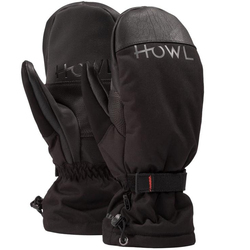 While the Howl Jed Mitt is a product designed by pro Jed Anderson and is outfitted with a polar fleece liner for mid season conditions. When you need minimal protection in warm spring conditions and you need the capabilities of being able to answer that all important phone call, nab the HOWL iPhone Glove. A knitted acrylic glove that has touchscreen abilities so you won’t miss out on taking photos or texting, the HOWL iPhone glove is functionality at its best. 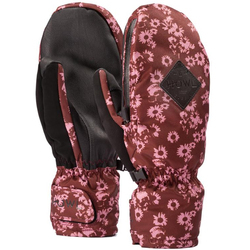 Complete with a retro inspired brown patchwork, you’ll look styling while maintaining warmth in these cleverly designed mitts. 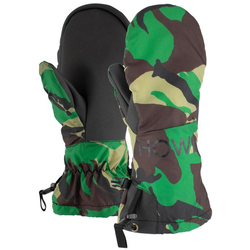 It doesn’t stop there, with HOWL extending its product range to include beanies, bags and snowboarding apparel, so you can sport the HOWL look from head to toe. Founded by pro snowboarders and creativity enthusiasts Darrell Mathes and Nima Jalali in 2012, HOWL is brand spanking new and fosters the idea of integrating riders with the products that they need. Taking in ideas from all sorts of riders, from the pros to the beginners, HOWL centers its idea on being timeless with its creativity. Wanting to do things different, the HOWL way, when you’re one that wants to stand out above the rest whether its entering the white room, chasing fresh pow or hitting hard lines, outfitting yourself with the best gear will make going after your dreams as easy as it sounds.